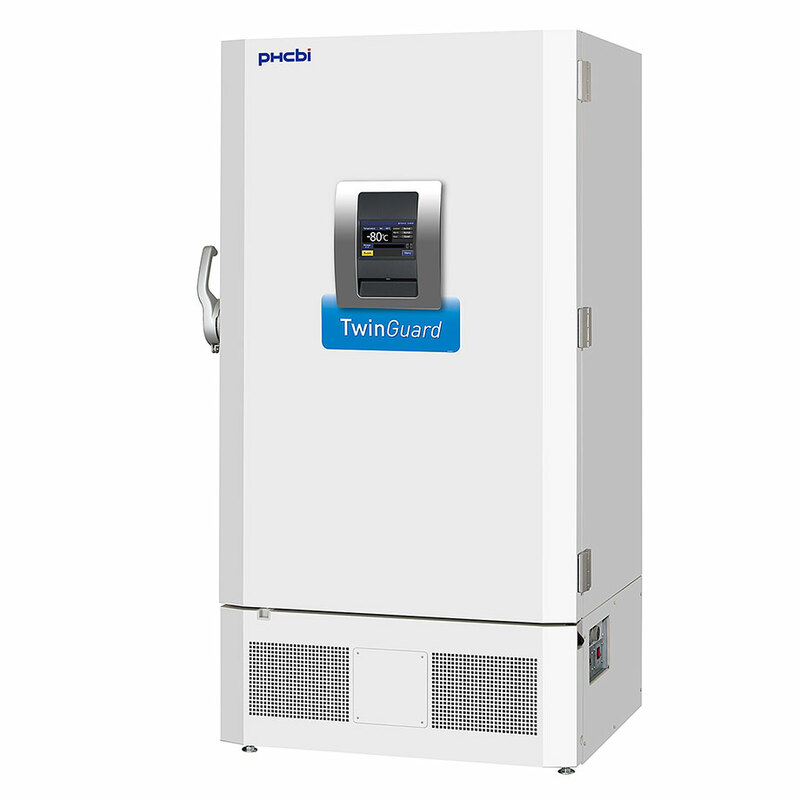 The TwinGuard MDF-DU702VX -86°C Ultra Low Temperature Freezer satisfies an industry demand for safe, long-term storage for the most high-valued materials. 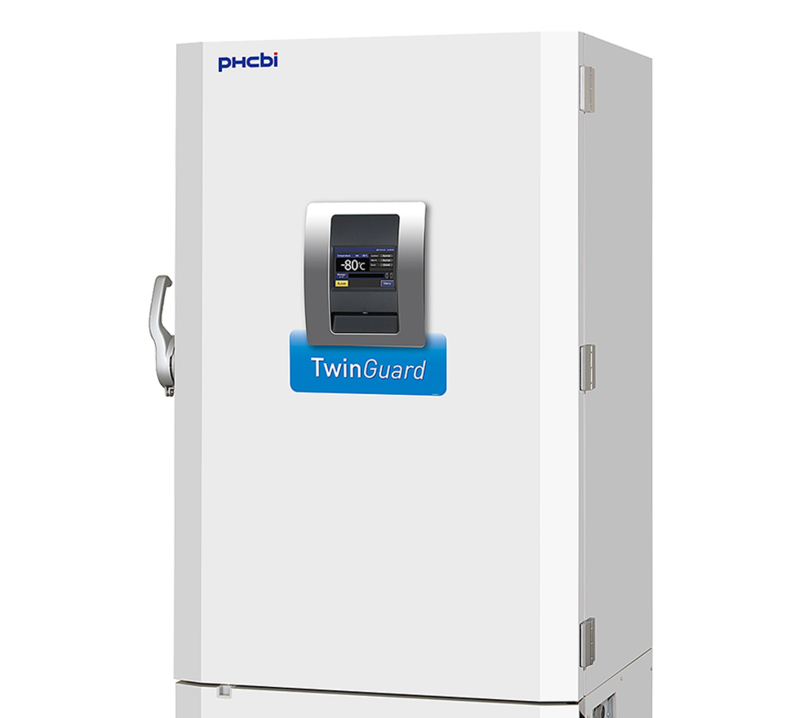 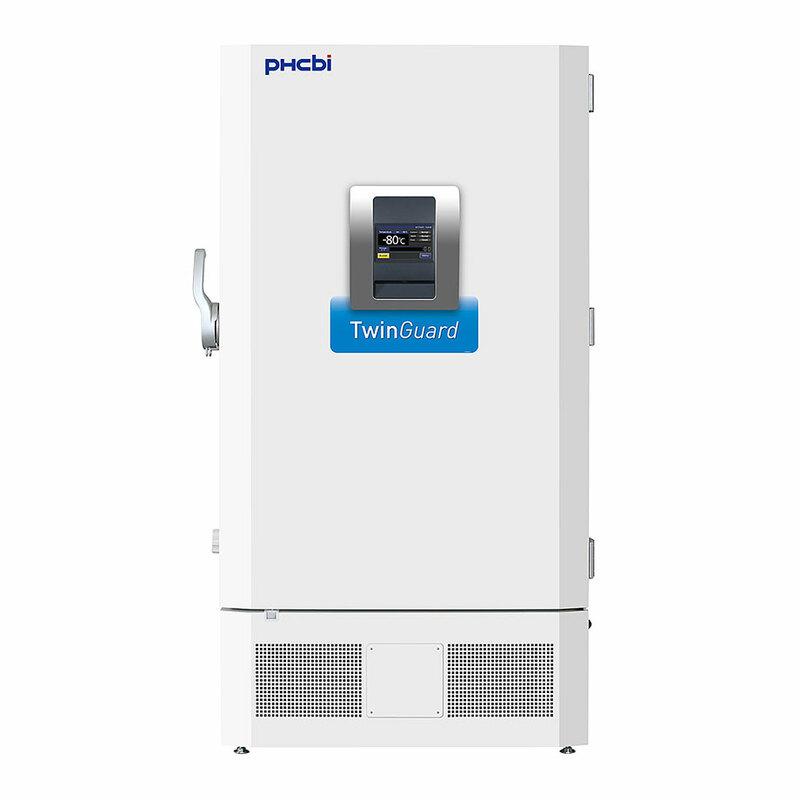 Two, independent refrigeration systems, combined with optional liquid nitrogen or liquid CO2 back-up systems, offer a circle of protection unmatched in the marketplace. 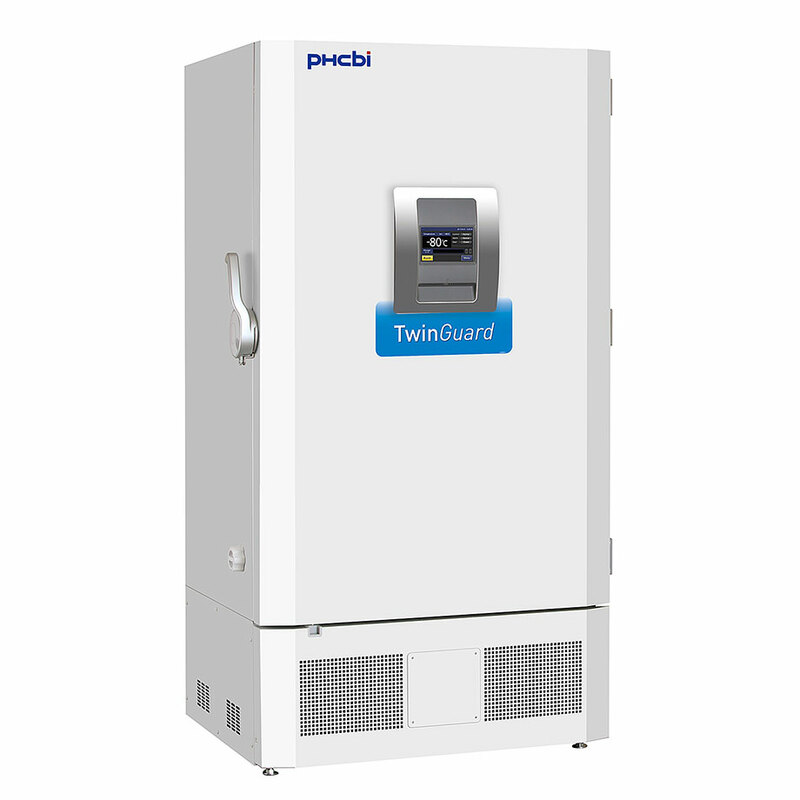 The EZlatch makes access to stored samples even easier. 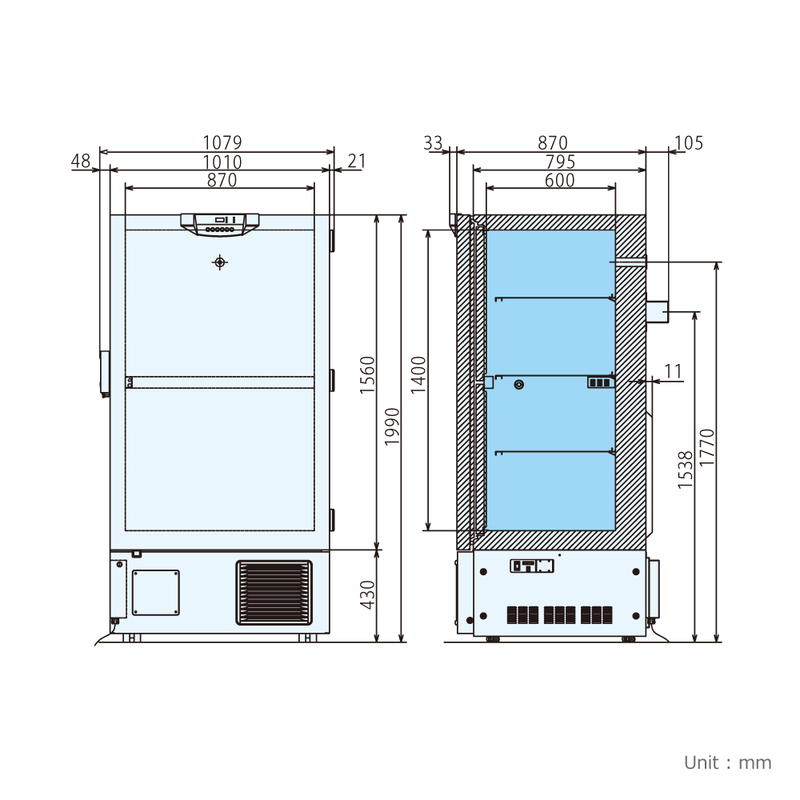 A colour LCD touch panel allows full user control, even with gloved hands, while the USB port makes transferring logged data to a PC convenient.